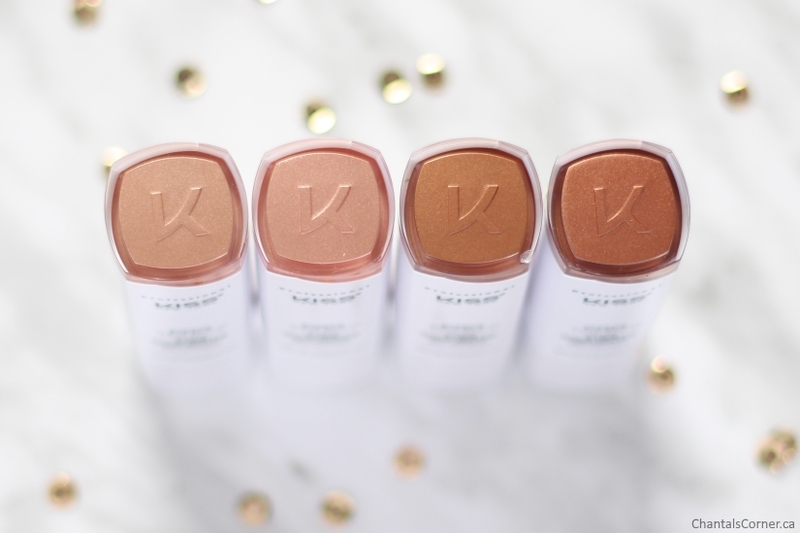 When it comes to highlighter I always tend to reach for the same product, out of habit. And since I already have a few at home in different shades it’s not something I really buy anymore. 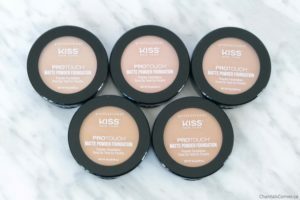 But, I still love trying new ones so I was really excited to try the Kiss New York Pro Touch Stick Highlighter ($9.99 CAD) and today I’m sharing them with you. 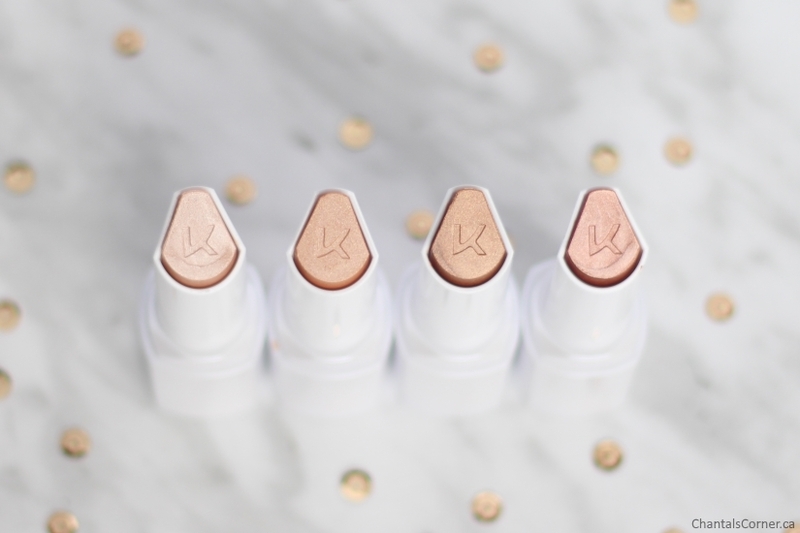 Highlight instantly and multi-task as it doubles as a contour stick. Either way, it glides on for a soft, velvety finish. Like always, here are the ingredients for those interested. Hover the mouse / tap over an ingredient for short explanation. Read more on INCIDecoder. 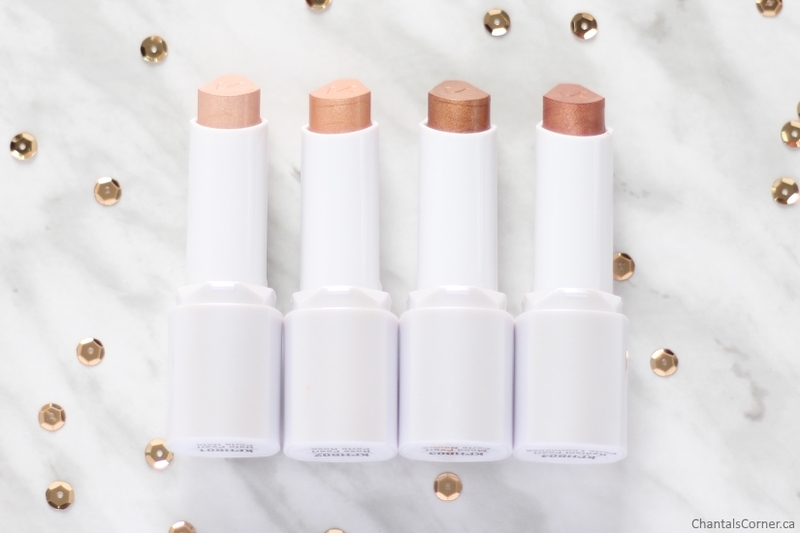 This stick highlighter comes in four shades which I feel could suite a range of skintones. These sticks are very soft and will break easily if you roll out too much product. I broke off the tip of 04 Radian Pearl when I did my arm swatches because of that. So be careful. 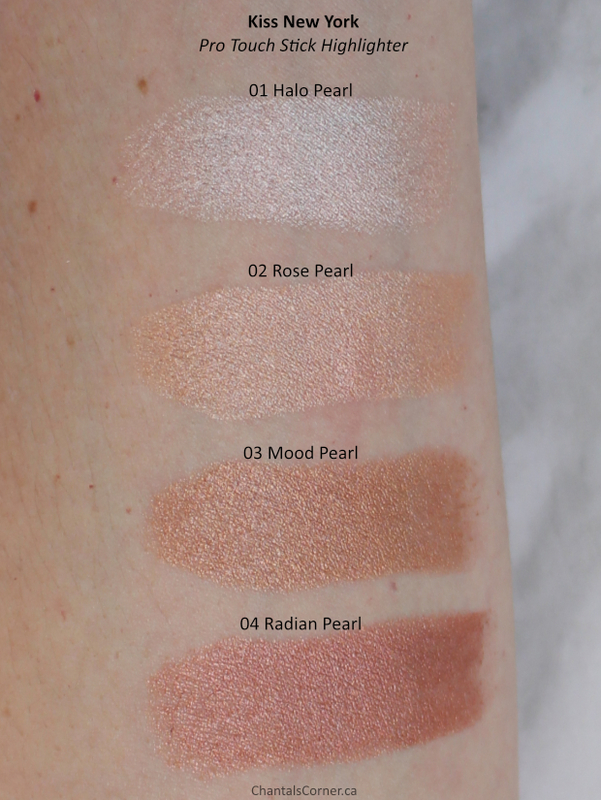 Since a review would not be complete without swatches, here they are! 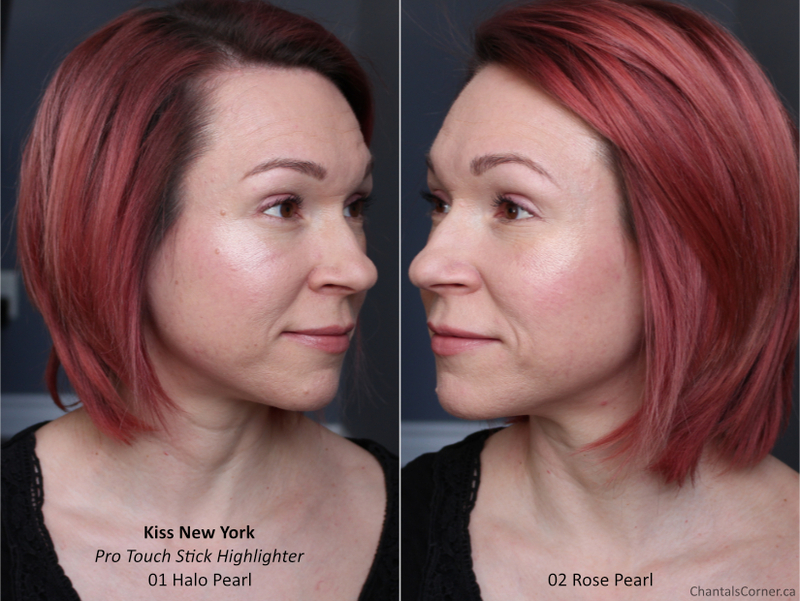 Only 01 Halo Pearl and 02 Rose Pearl work as highlighter for me, so those are the only two I have face shots for. I always go for cooler tones when I do my makeup so I’ve been using 01 Halo Pearl a lot lately and it adds the pefect glow. I do have to say that once my natural oils come though my makeup you can’t see the hightlighter anymore because it just blends in and looks the same as my “natural glow”. But a few blotting papers take care of that extra shine and the highlighter is back on point. 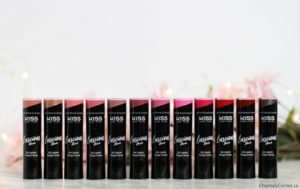 The description says that these can multi-task as it doubles as a contour stick, well, at least for the two darker shades. 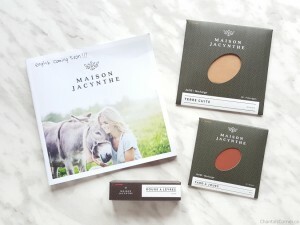 While I do use bronzer and kind of do a mix of bronze and contour with it, I prefer to use a matte product for that so I have not tried these as bronzer/contour. You can buy Kiss New York products at London Drugs and Rexall. 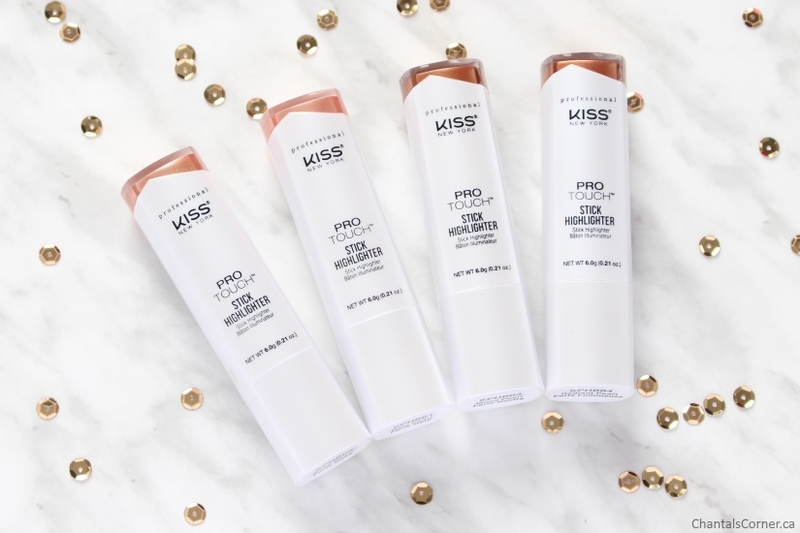 What do you think of these Kiss New York Pro Touch Stick Highlighters?